We provide surveys to determine property lines and define true property corners described in a deed. 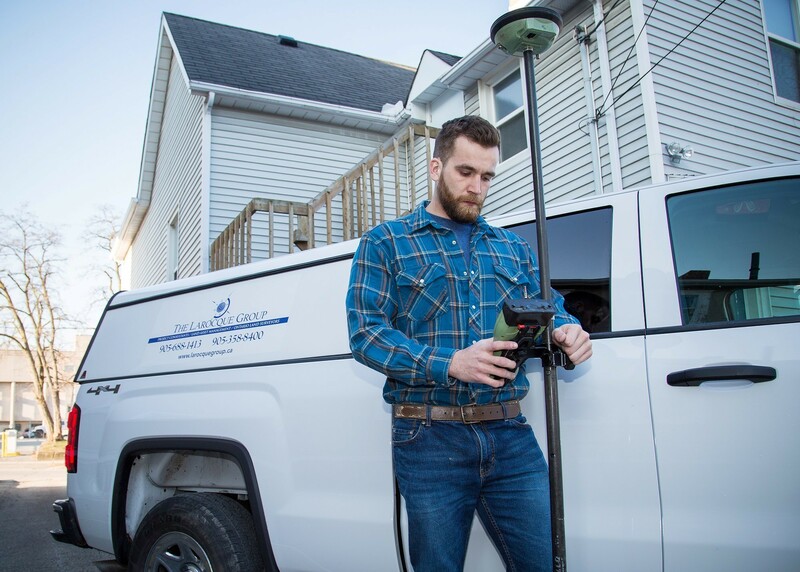 We also can indicate the extent of any easements or encroachments that may show limitations imposed on the property by provincial or local regulations or utility companies. We provide a variety of services related to land topography providing digitized information and plans for uses ranging from building permits for residential dwellings to complete topographic surveys for comprehensive analysis of a site prior to development. We provide surveys for mortgage purposes on residential, industrial and commercial buildings and provide a comprehensive written report to accompany the plan to assist the solicitor or mortgage company in analysis of the results. By implementing and maintaining a Land Information Management System you can have an accurate, current and reliable land record database with associated attributes. A Land Information Management System contains spatial data that represent the legal boundaries of land parcels and provides a base layer for integration into other spatial information systems. It can also be used as a standalone solution that permits users to retrieve, create, update, store, view and analyze. Elevations (benchmarks) have been established throughout Canada based on conventional levelling whose observations date back to 1904. There are approximately 80,000 benchmarks over 120,000 kilometres of levelling lines. The values were revised in: 1931; 1963; 1965; 1971; 1978 and 1980. In 1988 unexplained discrepancies of the order of 1.5 metres hindered an adjustment being implemented. The geodetic datum in place does not represent today's required accuracy and the responsible Federal Agency acknowledges that there are distortions of up to one metre. Is based on Geodetic Datum AND the Elevations (benchmarks) location. The location of the Benchmark plays a pivotal role in the adjustment factor applied to the Geodetic. We have found as much as 2 Kilometres between the published value and the actual location of a monument. With the cutbacks in government funding, minimal vertical leveling validation has been undertaken. The geoid model that we are using has been recognized as being fully compatible with modern positioning techniques. We can establish both Vertical and Horizontal Control with centimeter accuracy to meet your timetable demands. For Government Agencies we can help identify where there are areas of concern and establish values for public use.